The Golden State Warriors took games one and two of the NBA Finals, beating the Cleveland Cavaliers. Both matchups were held in Golden State’s backyard at Oakland, California’s Oracle Arena. And, when the Warriors are “home,” fans can expect a top-notch performance from the team’s dance squad – the Warrior Girls. These 18 women serve as cheerleaders for the pro basketball team, for which Forbes reports a $3.1 billion value, ranking its business third in the NBA. And, there’s no doubt the Warrior Girls contribute to the team’s monetary success. After all, when not performing or rehearsing, they’re doing interviews and events that drive ticket sales and build fan loyalty. In short, they are ambassadors of the Golden State Warrior brand. So, their selection is not lightly taken and rightfully so. The process to find brand ambassadors – Warrior Girls – lasts a week. First, registrants go through a preliminary audition. Those that aren’t “cut” then move on to interviews and two evenings of boot camp. The remaining candidates, following a second audition and elimination, take part in a training camp. This camp leads to defining the best members for the new season’s squad. There are many steps and many rules ladies must follow along the way to find success. And considering the effectiveness of the Warrior Girls, other brands would be smart to find brand ambassadors in as thorough of a manner. But, unfortunately, most are far from being as detailed in their methods. The path to find brand ambassadors looks the same for many event marketers, event managers, and agencies. You solicit candidates through your website or a job board. You sort through all the email applications, paying careful attention to photos and experience. You schedule a call with those you feel are qualified and then, based on your overall efforts, choose the best representative – or so you thought. On the day of your activation, your brand ambassador shows up 10 minutes late and looking 10 years older than his photo. You proceed to train him on the event’s aspects, but in the process, discover his skills are also a little dated. Plus, he’s growing flustered at every detail. It’s now game time, and you’re feeling unsure if the person is up to the task. Yet, someone needs to do the job, but now you know the outcome is a tossup. What can you do next time to better invest your time and resources, better secure your success, and improve ROI? Look to the Warrior Girls as an example to find brand ambassadors. Your brand ambassadors stand on the front lines of consumer engagement. They personify your brand – make it human, directly affecting how consumers perceive it. That’s why it’s important their appearance and personality align with your brand. A high energy brand, such as Red Bull for example, will want to find brand ambassadors with the same high energy and youthfulness. This right match delivers a consistent message about the brand’s identity. And, the uniformity draws in the target audience, allows them to trust the brand, and better yet, become a customer. To find the best Warrior Girls to personify the Golden State brand, detailed expectations are shared prior to registration. These require applicants to be positive, energetic and have a great personality. They must be professional and physically fit. And, they must dress a certain way for auditions. These specifics allow judges to verify the match with the brand and how well candidates follow guidelines. You likely share these desired attributes in your posting. But, the critical step is to verify it with your own eyes. Though you may not be able to physically meet with candidates, like Warrior Girls’ boot camps and auditions, there are other means. The next best might be through video calls. And always conduct a thorough web research to view social media pages and get a real feel for a candidate. In the process, you’ll want to confirm other personality traits. These include the ability to be flexible – to effectively cope in any circumstance. Another vital trait is passion. Without passion, brands lack the magic of in-person events – the genuine engagement between brands and consumers. Ask unique questions that allows candidates to show flexibility and passion. Again, a video call or even a phone call in this case will help. Though expanding your efforts means greater chance of success to find the best brand ambassadors, it also means more use of your time. And, this is time that is often needed for other aspects of event and experiential marketing. That’s why many event marketers, agencies and event directors will rely on an event staffing agency to relieve their burden. An expert event staffing agency removes the guesswork out of recruiting. It has a trusted database of pre-screened individuals and knows where to look when other needs arise. The right agency will first take the time to understand your brand, it’s goals, and its needs. This allows the staffing partner to choose candidates with the exact look, personality, and skills to make your campaign successful. They’ll further narrow their list through personality testing, video profiling and extensive interviews. These tactics help the agency find brand ambassadors with a similar passion, which we know is crucial to your success. Just as important, your staffing partner should offer training services. It will be as high-level as when and where to report and what to wear. Then, it will drill down to brand messages and individual expectations to ensure no detail is missed – a boot camp of sorts. In short, the right event staffing agency will put the same time and effort that goes into choosing the right Warrior Girls. That way, your brand delivers a performance that helps your brand win every time. 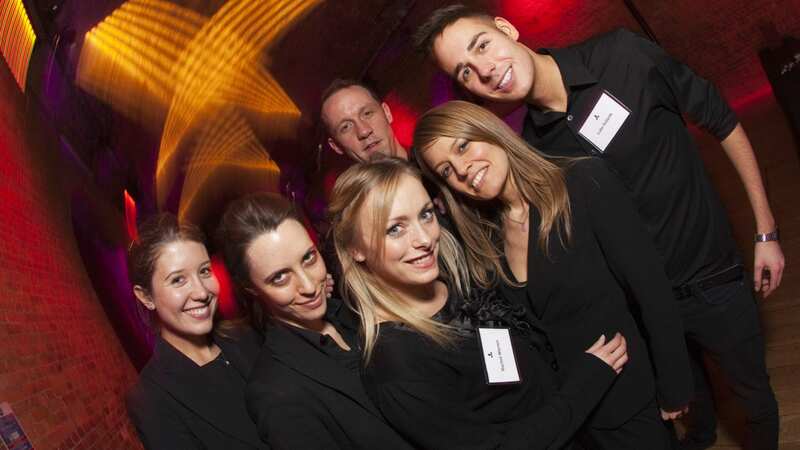 When it comes to event staffing, at Elevate, we ensure there are no surprises the day of your event. Let us help find brand ambassadors that can get your job done right.